Flow measurements in gas exploitation: For its gas fields in the Saudi Arabia desert, oil company Saudi Aramco trusts WIKA’s Venturi tubes. A global specialist in flow measurement, WIKA delivered another 600 instruments to Saudi Aramco by the end of 2017 for a total value of €5.8 million (about $6.7 million). The majority of the gas extracted in Saudi Arabia comes from vast Khuff gas reservoirs in the desert. The Khuffs are rock formations that contain huge amounts of gas and hydrocarbons. They are considered one of the main sources of energy for the future and are today’s main domestic source of energy for Saudi Arabia. To achieve its 2020 goals, Saudi Aramco set up a major project to standardize all components used in well exploitation. These components include those used in wellheads, control panels, chemical injection subsystems, and programmable automation, as well as in the flow lines used to transport the gas. Among the equipment WIKA provided, instruments for measuring and monitoring gas flow in pipelines from the well to the collection site played an essential role. Saudi Aramco particularly appreciates WIKA’s excellent technical design and the exceptional quality of its extremely dependable solutions. Aramco’s preference and trust were confirmed at the beginning of December 2014, when the company placed an order for 160 WIKA Venturi tubes, followed by more than 150 additional units in 2015–2016. But it was in 2017 that the entrusted solution proposed by WIKA saw its highest recognition from Saudi Aramco: a total of 824 Venturi tubes, both for skid mounting and direct wellhead installation, were ordered. That made six years in a row that WIKA’s contract for annual restocking was renewed. With the inspection and delivery of the last batch of Venturi tubes in Q2 2018, WIKA had shipped an impressive 115 tons of super austenitic stainless steel to use in some of the most remote locations in the desert. The total number of wells equipped with WIKA’s Venturi tubes reached more than 1,570 installations – with zero failures to date. Additionally, the flowrate measurement trend shown by the early days has proven to be consistent with the natural lifecycle evolution of the wellheads, showing a flowrate change due to natural lift phase deployment. … has the ambition to become the global leader in energy and chemical products by 2020. This declaration, combined with Saudi Aramco’s production capacity – 10.5 million barrels of crude oil produced/day, 1.2 trillion cubic meters of gas, and 1.4 million barrels of natural gas liquid produced/day in 2016 – is a clear indication of the importance of Aramco’s business. 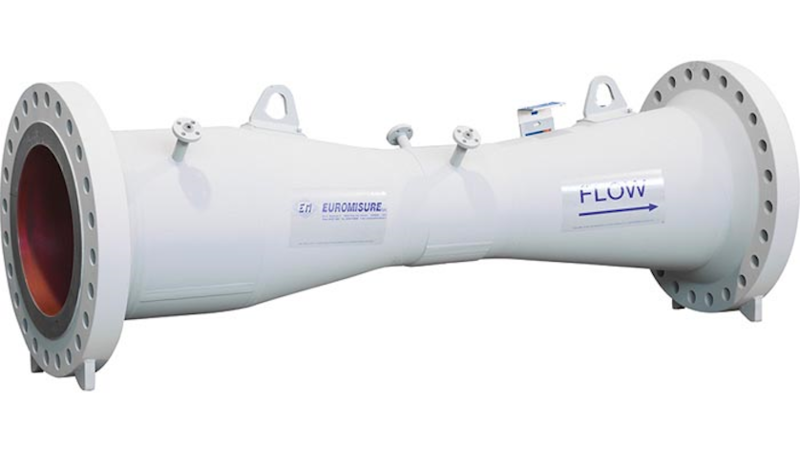 … is a device that primarily measures flow by differential pressure. It was named after its inventor, the Italian physicist Giovanni Battista Venturi (1746-1822). A Venturi tube has a variable section. A convergent section through which the fluid is accelerated is followed by a divergent section that allows the fluid to recover almost all of its initial pressure. As a result, Venturi tubesare particularly well suited for measuring flow in systems with a minimal residual pressure fall. I started with WIKA straight out of college as a project engineer at Fluidic Techniques. I guided the design and manufacture of our Primary Flow Elements from beginning to end. I now work for the CoE of Flow to develop new and innovating processes and products to propel WIKA as the premier flow company in the world. I look forward to establishing our brand and training anyone who wants to know more.